As expected, Bioware is definitely working on a new Dragon Age game. Confirmed via Bioware’s Mark Darrah via Twitter, he started off telling fans about current development of another upcoming EA Game, Anthem, but also dropped in the fact that the team is working on Dragon Age. “Anthem's up next but there are people hard at work on both franchises and I look forward to sharing more in the future,” he writes. The bad news is that we’re probably a long way off launch, as Bioware’s current workload is mainly focused on Anthem, an online multiplayer RPG. The Anthem release date has now been pushed back until 2019 from its original Q3/Q4 2017 launch. That means that we’re not likely to see the new Dragon Age Game launch on PS4 until way beyond that date. However, there’s at least a few snippets of information in the following tweet from Bioware’s General Manager, Casey Hudson. Reading lots of feedback regarding Dragon Age, and I think you'll be relieved to see what the team is working on. Story & character focused. In a recently reported news article by Kotaku some light was shed on Anthem and the future of the Dragon Age Franchise. Three individuals who are familiar with the development efforts on Anthem have all shared some interesting piece of information which points to a delay in the launch of the game. Anthem which was originally revealed at the Microsoft’s Xbox Press Conference at E3 last year, had a fall 2018 launch window mentioned alongside its announcement. Anthem might now not be out until March 2019. Bioware is considering to be doubling down on Anthem with development efforts as the pressure mounts on them to achieve success in its brand new open world RPG. As Bioware’s development studios solely focus their efforts in getting Anthem out the door, the reboot to Dragon Age has been put on the back-burner. Anthem has been in development since 2012 and one of the reasons for its excruciating longer development cycle is due to the complex nature of Frostbite Engine. The very same technology that powers the Battlefield and the more recent FIFA titles. Frostbite Engine led to development issues in Dragon Age Inquisition and Mass Effect Andromeda. While ME:Andromeda failed to bring in the numbers due to many inherent reasons with the game itself and the negative backlash from micro-transactions on Star Wars Battlefront II, one would wonder how much patience is left with the executives at EA. After all EA shutdown Visceral Games, a studio that had been hard at work for years building a brand new story driven action adventure title set in the Star Wars universe under the helm of Ms Amy Hennig. The volatile nature surrounding the business side of things in the games industry and EA being the most volatile among the bunch, the pressure mounts on Bioware to succeed with Anthem. We will have to wait at least until E3 2018 to hear more about what’s going with Anthem. Anthem will release on the PS4 sometime next year. 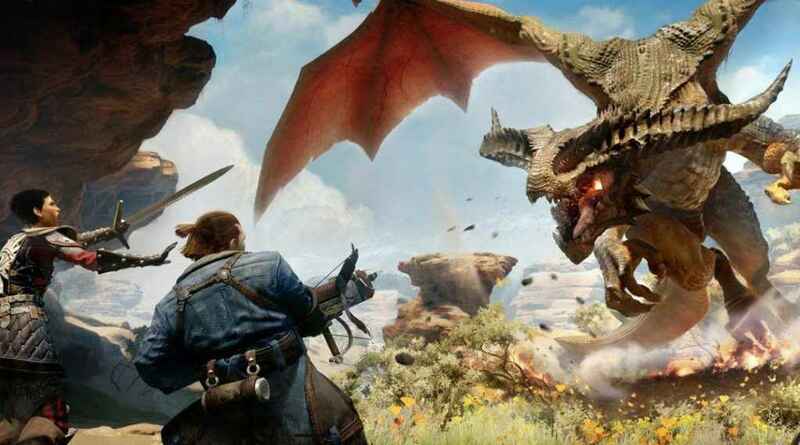 Though Bioware has yet to officially confirmed a new game in the Dragon Age series in a company statement or press release, voice actress Alix Wilton Regan has hinted that BioWare is working on the long-rumored Dragon Age 4 for PS4 and Xbox One. Regan, who provided the voice for the female Elven inquisitor in the fantasy-RPG series, has posted up a snapshot on Instagram of her back in the recording studio, accompanied by the hashtag ‘elf.' Naturally, this has sparked hope that Dragon Age 4 is in development, although it's worth remembering that this is by no means an official confirmation. You can check out Regan's post below and make of it what you will. The latest entry in the series, Dragon Age: Inquisition, was released for PS4, PS3, PC, Xbox One, and Xbox 360 back in November 2014, and debuted to strong reviews from critics. Although the game sold roughly the same number of copies in the U.K. as its predecessor, Electronic Arts confirmed in 2015 that the game is the most successful launch in BioWare history based on unit sales. Much like the previous games, Dragon Age Inquisition received a number of DLC expansions, including Jaws of Hakkon, The Descent, and Trespasser. EA also repackaged the game and its accompanying DLC as part of the Dragon Age: Inquisition – Game of the Year release in 2015. Bioware’s existing project Anthem has apparently been delayed until 2019, so we’d expect we’ll still have to wait a long time for the new Dragon Age game.